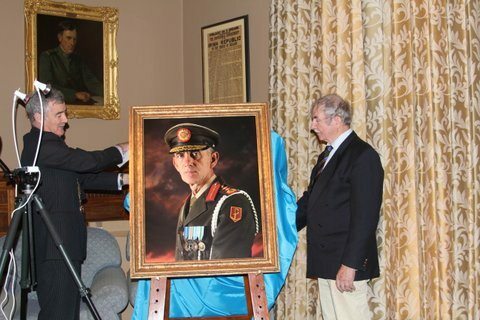 In recognition of the appointment by An tUachtarán of Artillery Corps officers to Chief of Staff, the Corps commissioned portraits of Lieutenant-Generals Patrick A. Mulcahy, (1955 – 1960), Tadgh O’Neill (1986 – 1989), and Noel Bergin (1992 – 1995). 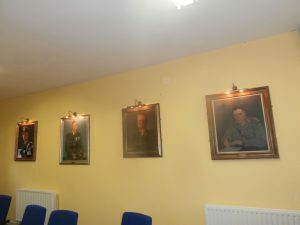 The portraits are on display in the Artillery School. 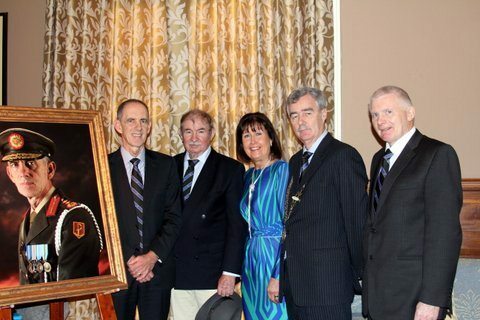 The portrait was unveiled on St Barbara’s Day, 04 December 2015, in Defence Forces Headquarters Officers’ Mess, in the company of General O’Boyle’s family. 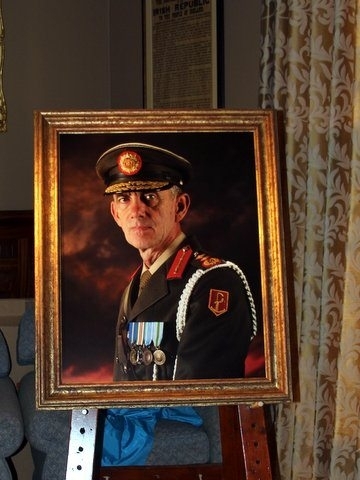 Reinforcing the ethos associated with the Artillery Corps Portrait process, Mrs E. O’Neill, wife of Lieutenant-General Tadgh O’Neill DSM RIP, accompanied by her daughter Niamh, attended the unveiling ceremony. 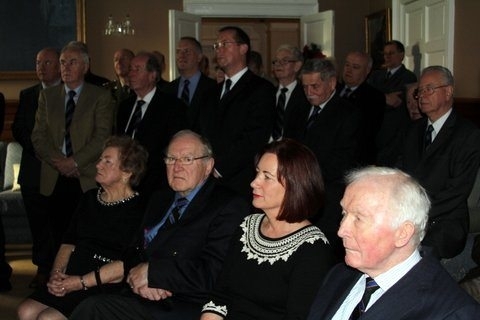 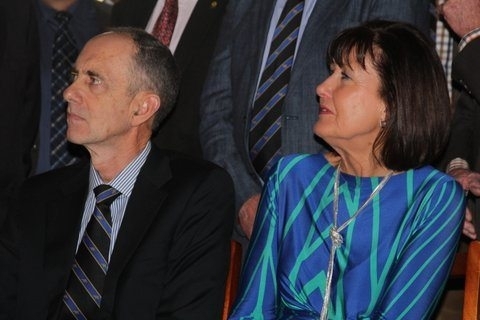 Lieutenant-General Noel Bergin DSM and Major-General Tony Wall were also in attendance. 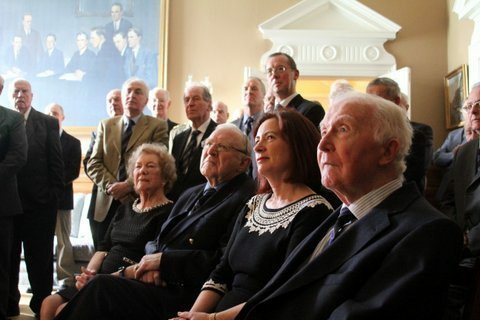 Photographs courtesy of Michael Flood. 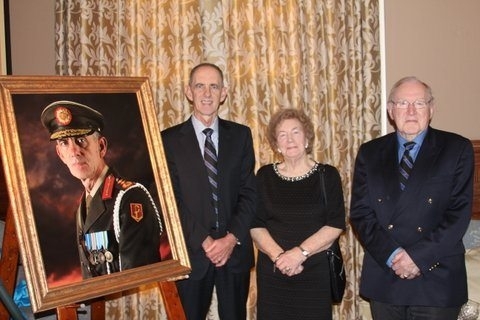 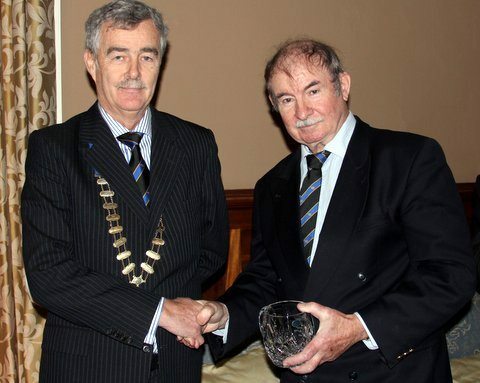 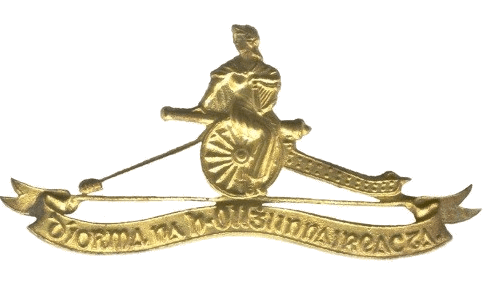 On 25 February, 2016, Brigadier-General Paul Pakenham (Retd), Club President, presented the Portrait to the Artillery School, see separate album.